Amy Alexander is a professor and hackernaut who has been making computationally-based art projects since the 1990s. She is an algorithmic filmmaker and performer who has focused throughout her career on the fuzzy borders between media and the world. Amy’s work has frequently addressed algorithmic subjectivity in digital culture by creating transparently biased, sometimes funny alternatives. She is currently developing new work that returns to this theme — this time addressing algorithmic bias in social media search and analysis. 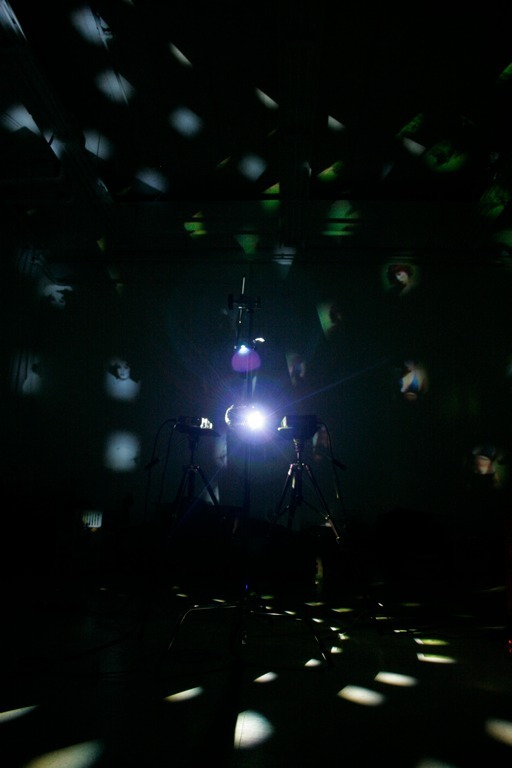 Using computer vision and machine learning-based methods of curation and production, she is developing a robot-made film and installation. Over the years, Amy has worked in net art, software art, computationally-based installation, audiovisual performance, film, video, music and information technology. Her research and practice focuses on how contemporary media – from performative cinema to social media – changes along with cultural and technological shifts. Amy’s projects have been presented on the Internet, in clubs and on the street as well as in festivals and museums. She has written and lectured on software art, software as culture, and audiovisual performance, and she has served as a reviewer for festivals and commissions for new media art and computer music. She is an Associate Professor of Visual Arts at the University of California, San Diego. 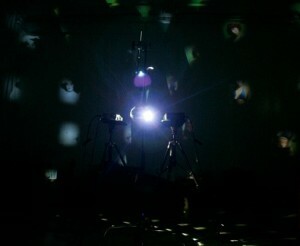 She has been artist-in-residence iotaCenter in Los Angeles and The Media Centre in Huddersfield, UK. Amy has a Master of Fine Arts in Film/Video from California Institute of the Arts and a Bachelor of Arts in Communications from Rowan University of New Jersey. Amy – who has also worked under the names Cue P. Doll and VJ Übergeek – was a dinosaur old codger pioneer in the development of software-based net art, beginning in 1996 with the Multi-Cultural Recycler, a site that spoofed both net celebrity and faux multi-culturalism on the web. 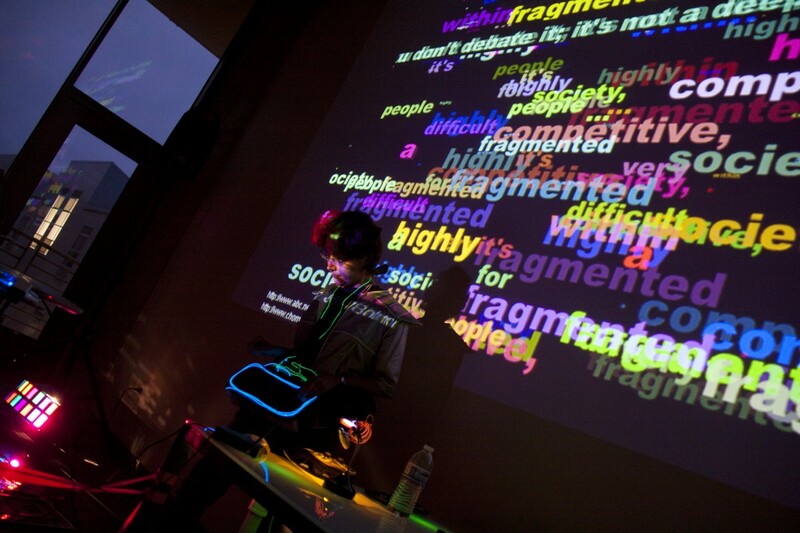 In addition to her art projects, she was also a co-founder and moderator of the Runme.org software art repository, an early member of the TOPLAP live coding collective, and has been active in algorithmic and media art curation. Amy’s projects have been exhibited at venues ranging from The Whitney Museum, Prix Ars Electronica, Transmediale, SIGGRAPH, NIME, and the New Museum to club performances at Sonar (Barcelona), First Avenue (Minneapolis) and Melkweg (Amsterdam). She has performed on the streets of Los Angeles, San Diego, San Jose, Zürich, and Aberdeen, Scotland. 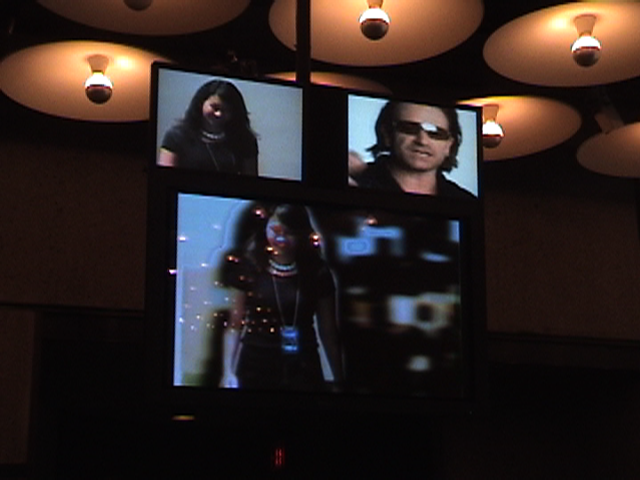 Amy’s work has been influenced by her background in musical performance. As part of her research into performative practices, she has studied and performed standup comedy. 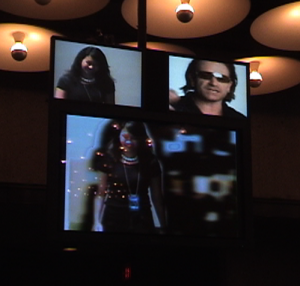 Besides continuing her own performances, she’s published texts on audiovisual performance history. Amy particularly enjoys researching early 20th century audiovisual performance artist and inventor Mary Hallock Greenewalt: she operates the Mary Hallock Greenewalt Visibility Project, an online database and archive. Amy’s recent performance project PIGS (Percussive Image Gestural System), is a live performance and research project focused on using silent percussion as a means to create improvisational, structured visuals. Amy enjoys giving lectures on a range of topics including algorithmic bias and subjectivity, cultural anthropologies of gender roles in 20th and 21st century computing, and systems and disruption in 20th and 21st century media. Amy’s past lives have included work as a record store manager, a video camera operator / editor / technician, a 3D animator, a television and new media effects developer, a systems administrator, and a couple of assorted others. She programs in Max/MSP, Python, Processing, and a few others, and continues to maintain various Linux and Raspberry Pi servers. She continues to enjoy playing the drums, and still occasionally stumbles around on bass, guitar, and violin. ...all the latest gab there!